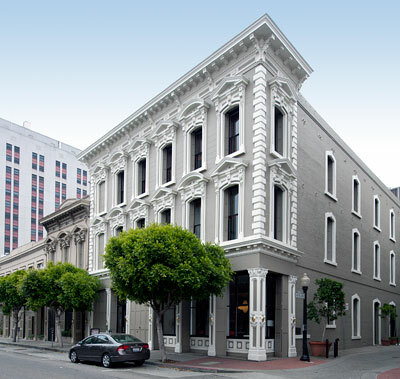 The Hotaling Building is in the Jackson Square Historic District. Anson Parson Hotaling built this structure as a headquarters for his several business interests which included liquor, real estate and trade. The Italianate façade is cast iron with cast iron shutters typical of contemporary advances in fire resistant construction.